My cousin from California was staying with me in New York City this weekend and, because I have to go to the Met everyday, I brought her along. 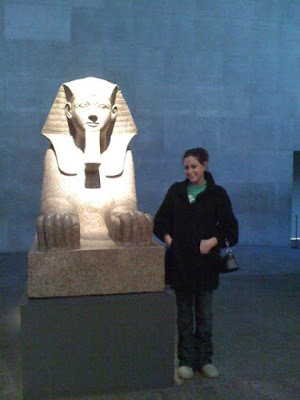 Though she is not into the stuffy, art-on-the-walls museum experience, she did say she enjoys both ancient history and sculpture. 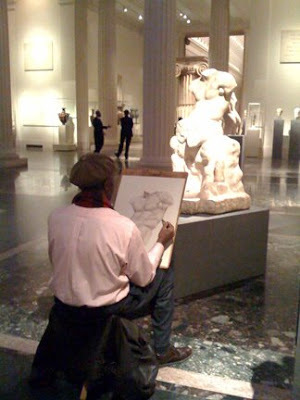 So my mission was to show her how extraordinary the Metropolitan Museum of Art really is. To me, the most unique thing about the museum is the atmospheric gallery design, meaning the period rooms and the tombs in Ancient Egypt, which allow the visitors a 360-degree experience. 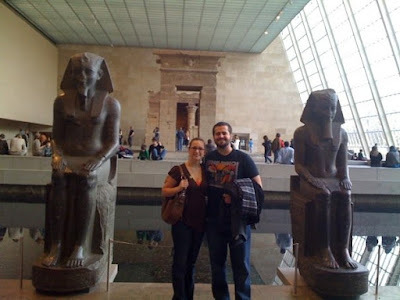 We also explored Petrie Court and the Greek and Roman Sculpture Court, and of course, the Temple of Dendur, so Jennifer got her fill of exqusite, magnificently crafted 3-dimensional pieces. 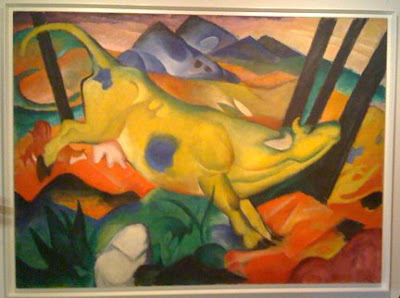 We also came across my favorite Met artist, who I've previously referenced in two posts: (1) and (2). This time, I just photographed his work alongside the actual object. When I'm really tired and need to sit for a while, I go straight to the 19th- Century European Paintings Galleries, where there are several comfy setees situated central to the masterpieces that hang on the walls. 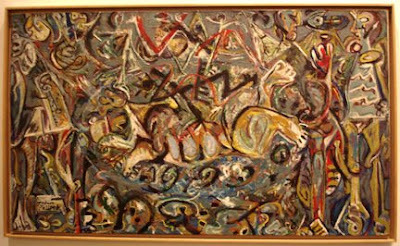 Probably overlooked by most, as it hangs across from one of Pollock's famous drip paintings, this piece called Pasiphaë embodies a different style entirely. Pasiphaë is a Greek mythological figure. And then there's Autumn Rhythm (Number 30). True to its name, Autumn Rhythm sings and dances off the canvas. 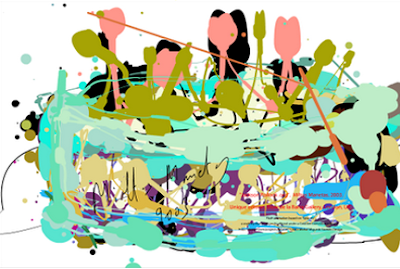 Every experience looking at this piece is different — sometimes the black lines lead the eye in a swirling pattern around the rectangular surface, other times certain segments seem to come out at you, while others fade into the background, and today small portions at a time would vibrate, evoking a switchboard-like manifestation. Whatever the visual sensation, I always enjoy revisiting this piece over and over. Because I spend so much time in the Modern Art Wing and I love to walk through the African and Oceanic Art galleries, I have passed this small exhibit on many occasion, always promising to return when I can fully focus my attention here. 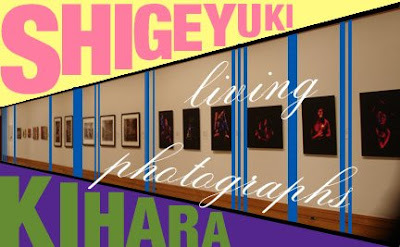 Well, Shigeyuki Kihara: Living Photographs ends February 1, so it's about time I get in gear and examine these pieces. Placed so appropriately between Oceanic and Modern Art, Kihara's photographs seamlessly bridge the gap between the primitive-looking wooden sculpture of Oceanic Art and the colorful, abstract subjects of Modern paintings.As part of the Black Sunday series, the first few have a kind of Pop Art quality, with the old photo surprisingly broken up by bold, flat color. 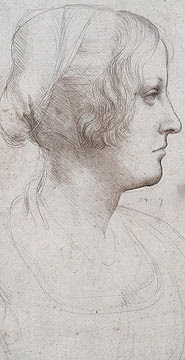 A Fascinating article about the discovery of hidden drawings on the back of a DaVinci painting, which were recently discovered by French art historians. 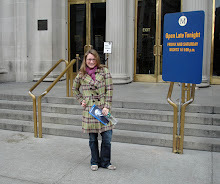 Today I was invited to lunch with a friend who works at the Met on MONDAY, while the museum was closed! I cannot tell you how excited I was to get the opportunity to visit my favorite place in New York while it was virtually empty. After lunch, I was able to preview the special exhibition, Pierre Bonnard: The Late Interiors, which opens tomorrow in the Robert Lehman Wing. A major contrast to the previous Morandi exhibition, Bonnard's lively color pallette and more-than-still lifes are invigorating to the eye. 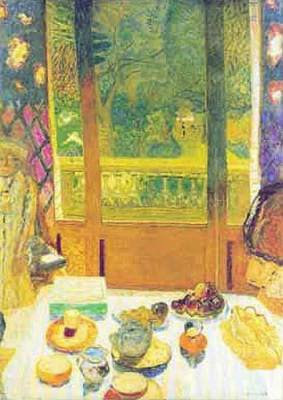 Breaking from tradition, the artist tilts the perspective beyond the typical still life to include the background of a room, and, in my favorites, the outside world through a window. 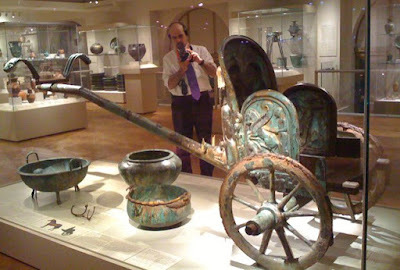 From there, we walked through the Medieval Arts Wing, across Petrie Court, through African and Oceanic Art to Greek and Roman Art, where I descended to the 81st Street door where I entered. To get a glimpse of the museum unoccupied by visitors was like watching someone sleep, the familiarity is there, but with an innocence or vulnerability not seen in the light of day. Having entered the museum at the 81st Street entrance on several occasions, I felt it was time to finally explore the Uris Center for Education and the Nolen Library. A treasure for the avid reader and art lover, this public-access library contains volumes of books on art, artists, art history, and world history — there's even an entire children's corner for future art aficionados. 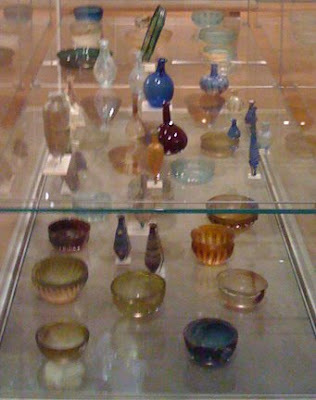 Similar to the Luce Center for the Study of American Art, a set of glass cases hold the wide array of treasures in the Greek and Roman mezzanine. 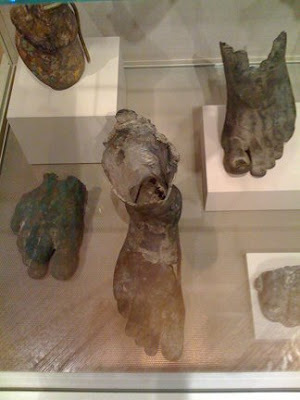 ...there are even hollow feet! Fragments of ancient statues, urns, jewelry and other miscellaneous items are kept in these cases. 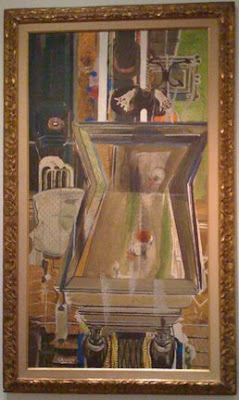 LOVE Braque's The Billiard Table. 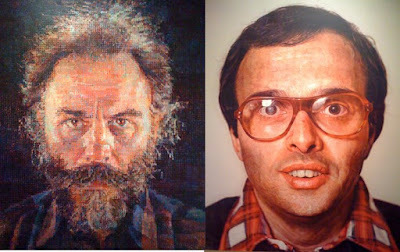 Chuck Close blows my mind - (this was my actual thought when I was looking at these paintings). Living intermittently in Paris and Spain until 1904, his work during these years suggests feelings of desolation and darkness inspired in part by the suicide of his friend Casagemas. 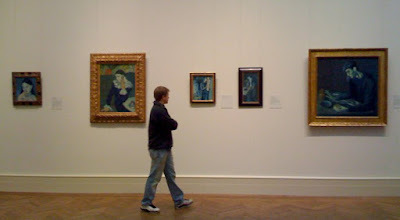 Picasso's paintings from late 1901 to about the middle of 1904, referred to as his Blue Period, depict themes of poverty, loneliness, and despair. In The Blind Man's Meal (50.188) from 1903, he uses a dismal range of blues to sensitively render a lonely figure encumbered by his condition as he holds a crust of bread in one hand and awkwardly grasps for a pitcher with the other. The elongated, corkscrew bodies of El Greco (1541–1614) inspire the man's distorted features. 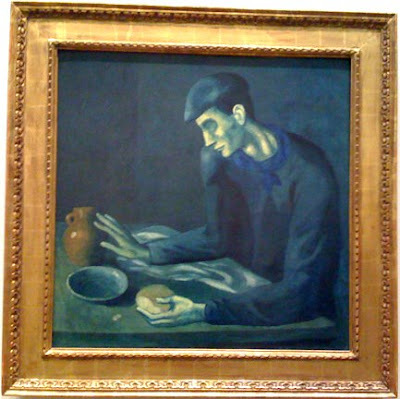 "The Blind Man's Meal is one of the Bluest of the Blue Period paintings. By highlighting the blind man's ear and emphasizing his slender hand, Picasso poignantly expressed that touch and sound are the man's only means of perceiving the world around him." 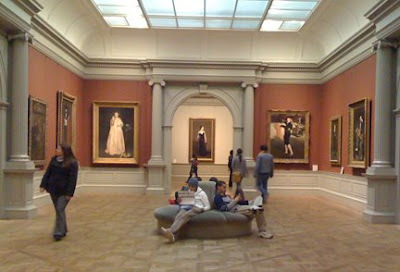 When you enter the Metropolitan Museum of Art at the lesser known 81st Street entrance, you are one floor below the main galleries in the Uris Center for Education. Once you ascend the staircase into the Greek and Roman Galleries, you'll be greeted by the largest object in that wing — the Ionic capital and shaft of a column from The Temple of Artemis at Sardis. The magnanimous architectural element not only commands attention from the far reaches of the gallery in which it is central, it also provides an excellent backdrop to the beautiful sculptures that populate this wing. Oh yeah, remember this guy? I saw him on an earlier visit in Petrie Court while I was wandering and reading. I guess I find him intriguing — he is very talented. It's Monday, so of course the Met is closed... but I did get a chance to go to the Guggenheim Museum today (which I affectionately call "The Gügg" because I'm a dork). 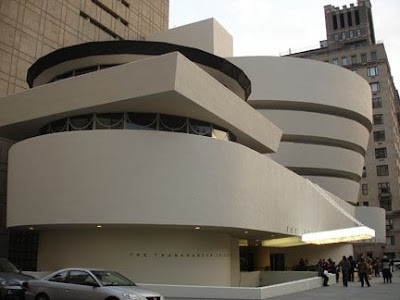 Located just a couple blocks uptown from the Metropolitan Museum of Art, the Guggenheim building itself is a striking masterpiece of renowned architect Frank Lloyd Wright. It was a very interesting visit, since the majority of the museum was closed for the de-installation of The Any Space Whatever exhibit, which ended January 7. Only the permanent collection was open, but the de-instillation was in full view, so it was fun to see the behind-the-scenes action. The permanent collection at the Guggenheim is a stunning array of masterpieces by Picasso, Braque, Kandinsky, Pisarro, Degas, and Cézanne, just to name a few. I've actually started to recognize specific artists' styles and identify their paintings without reading the description — a great accomplishment in my mind. If I wanted to characterize myself, I would say: constantly, chronically restless. Yes, that is the possibly surprising but strict truth... not a moment's rest you understand. I am always excited, my heart always feels different things simultaneously... There's plenty of joy in my heart. I love life so very much. 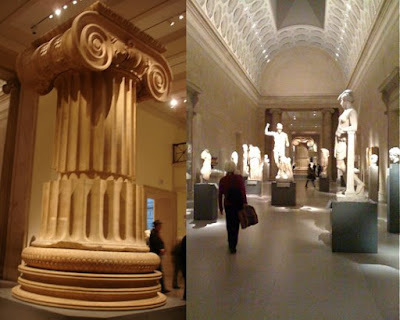 My original intent for this blog was to visit the Met every single day, without fail, and somehow live my life, and enjoy other art venues of New York City, aside from that massive undertaking. 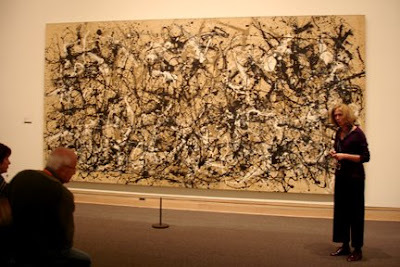 But I have decided to allow myself to visit other valuable cultural institutions and share my experiences with you on this page (as I have done once before in my post on MoMA), while still maintaining the goal of visiting the Met everyday I possibly can. That said, tonight I was given a free ticket by AIGA (American Institute of Graphic Arts) for the Museum of Art and Design at Columbus Circle. The relatively modest nine-story building that stands opposite Trump International Hotel & Tower and adjacent to the monstrosity that is the Time Warner Center, just oozes modernity from its own little island on the south end of the circle. 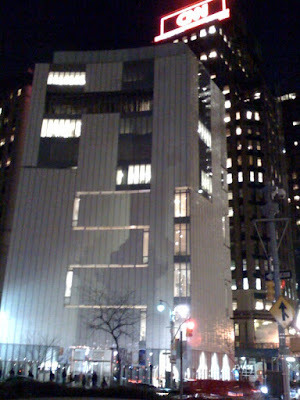 Indeed, that was both the original intent of the building at 2 Columbus Circle when it was built as the Gallery of Modern Art in 1964 and of its recent makeover before its reopening in September 2008 as the Museum of Art and Design. Inside, hundreds of interesting pieces fill the second through sixth floor galleries (unfortunately, no photography is allowed, so you'll have to imagine or see for yourself). After ascending the stairs to the second floor, I came upon the exhibition entitled Elegant Armor: The Art of Jewelry. 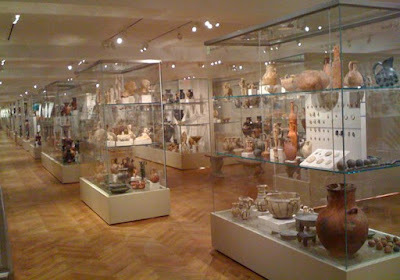 The variety of form, color and material is far to great to discuss here, given the fact that in addition to the glass display cases at eye level, the back wall was also equipped with three rows of at least twelve drawers, which allow visitors to view even more pieces. Another piece, coincidentally also a mosaic, can be seen here: Portrait of a Textile Worker by Terese Agnew. The artist actually sewed over 30,000 clothing labels to create the image. Then there were a bunch of butterflies and a giant wave made out of records, a fleet of gilded militaristic ships made of children's toys, a daffodil flower made of plastic forks and q-tips, faces carved out of phone books and much more... I guess you had to be there. And with the coming of 2009, comes a historic day in the Metropolitan Museum of Art's history: former curator of European Sculpture and Decorative Arts, Thomas P. Campbell today officially became the museum's ninth Director.